- Membro do Steering Committee of the Quality Council of India - QCI, a committee that aims to create and establish quality standards and standards in the Training of Yoga Professionals, in all the World. - He proposed at the beginning of 2015, to the Government of India and Portugal, that Yoga should be declared by UNESCO Intangible Cultural Heritage of Humanity, which eventually happened by initiative of India in 2016, October 5th, in Adis Abeba, Ethiopia. Honorific DLitt Degree by the University of Bengaluru (S-VYASA), India - 2014, January, 12. Distinction received together with the Grand Guru B.K.S. Iyengar Jí, 96 years-old - considered the greatest Yoga Master of today, meanwhile deceased. Received the Matsyendranathá Award by the Ujjein Yoga Life Society – Ujjein, India - 2014, January, 11. 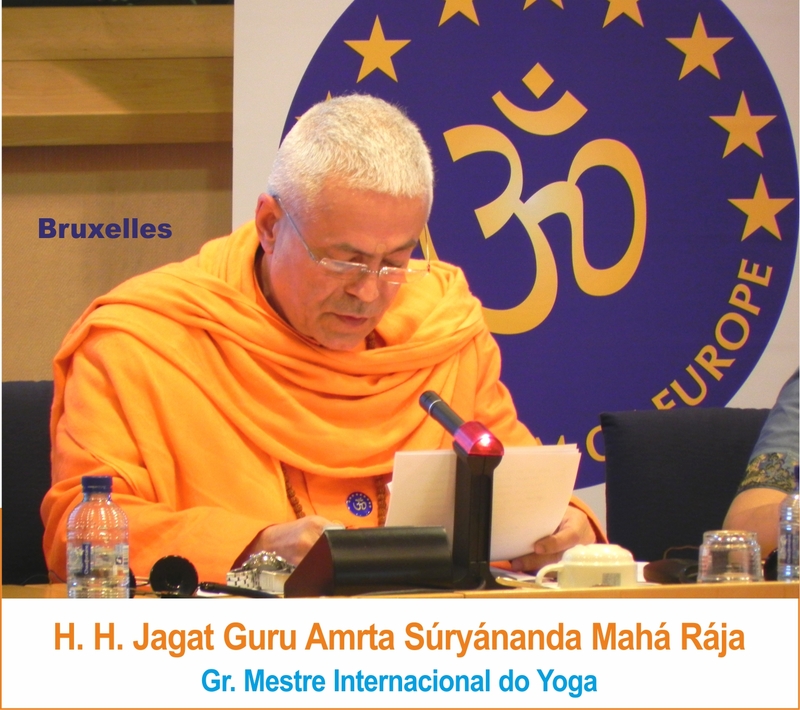 Has recently received as well an Honour Prize from the Sanyas Áshrama of Mumbai / Svámin Vishveshvaránanda, and a homage of the current India’s Ambassador to Portugal, his Excellency Dr. Jitendra Nath Misra, in Portugal on occasion of the Ceremonies of the International Day of Yoga 2014, in Portugal. Having beagn the study and practice of the Yoga Philosophy in 1970, he found in Shivánanda Áshrama from rshikesh / Divine Life Society, the School of his heart; where he recived Param Pará in the beginning of the 80’s, from Shrí Svámin Krshnánanda Jí, under the auspices of HH Svámin Chidánanda Sarasvatí Mahá Rája, from the Lineage of HH Shrí Svámin Shivánanda Sarasvatí Mahá Rája. 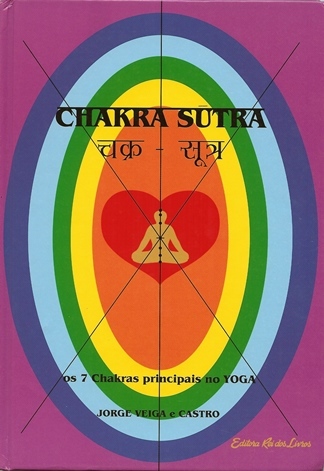 In the beginning of the 80’s, he wrote his first book “Chakra Sútra – the 7 Main Chakra in Yoga”, and “Sámkhya, Cosmogenesis and Yoga – Beyond Hydrogen”. In the beginning of 2015 he also wrote the Photographic Chronicle "1st Global Day of Humanity / International Day of Yoga - IDY, June, 21st - The Golden Odyssey". He is currently writing a grand Encyclopaedia of Traditional Yoga. - Founded and currently presides the Portuguese Yoga Confederation which aggregates 51 Áshrama from North to South of Portugal; - In 2014, November, founded the European Yoga Confederation, which he presides, during the 1st European Yoga Congress, in Germany, Bad Meinberg. - In 2008 founded the Iberian Yoga Confederation, which he presides, having since 2007 organized annually, in April / May, the Iberian Yoga Meetings, which are now on their 7th Edition, with 6 being held in Spain and one in Portugal. The Iberian Yoga Confederation aggregates the main Yoga Institutions of Portugal and Spain, being the representative of Portugal, Portuguese Yoga Confederation (as well as its Federations, Regional and Sub Regional Associations); and from Spain the FEYS – Spanish Federation of Yoga Sat Sanga (and its associates), the Sanatana Dharma, and ISKCON – Hare Krshna of Spain. - Founded the Yoga Sámkhya Institute, of which he is Honorary President. All these Institutions are non-profitable Institutions. Besides the work made on the Iberian Peninsula, he has also traveled across the whole Europe spreading the Traditional Yoga from Bhárata, and the knowledge of the Grand Lineages of Yoga, with highlight to: France, England, Italy, Germany, Belgium, Poland, Russia, Greece, Cyprus, and Denmark. - In 1982 founded the Choir Orchestra of Mantra – Omkára. - In 1983 founded the Pashupati – Advanced Yoga Demonstration Group. - In 1998, the Amateur Didactical Theater Group – Máyá, spreading the grand Works from India and the World. He also founded: - Shiva Rája – Sacred Traditional Hindu Dance Group, which is dedicated only to Bharat Natyam. - Medical Department and Ayurveda – constituted only by Medical Doctors, and other Health Graduates, who are also Yoga Teachers. - In 2009 he launched the Om Yess Magazine (Yoga is health and Samádhi), the only publication specialized in Traditional Yoga, in Portugal, intended to divulge this Practical Life Philosophy, deeply and systematically, aiming to address the earnings of the Yoga specialists, but also reaching to a more broad public, with little or no knowledge of Yoga. He Ministers superior Yoga Courses, considered to be the most extensive and complete in the world, where he forms Teachers of Yoga with World Excellence, in which he uses all 14 Yoga Technical Disciplines and the six complementary disciplines (in a total of 20), as well as the learning and in-depth study of the Shástra. Hence, he trains: - Yoga Instructors (advanced) in 6 years, with 6.500h of Training; - Yoga Professors (advanced) – in more 4 years (comprising a total of 6+4 = 10 years of Training), having those 4 years 6.000h of Training (total of 12.500h); - And prepares Yoga Masters – in more 4 years of Training ( in a total of 14 years 6+4+4), having these final 4 years 9.500h of Training (total of 22.000h). - Organized 5 Portuguese Yoga Congresses. - After these 5 Congresses he began to organize the National Yoga Meetings, taking place annually. - Co-Organized the 1st European Yoga Congress, 2014, November, in Germany, at the Yoga Vidyá facilities, presided by Master Sukadev Bretz; co-organized the 2nd European Yoga Congres, 2016, May, in the European Parliament and Radhadesh – Brussels / Belgium; organized the 3rd European Yoga Congress, 2018, April, at the UNESCO Headquarters, Paris / France. - Organizes the Iberian Yoga Meetings for Yoga Professors. 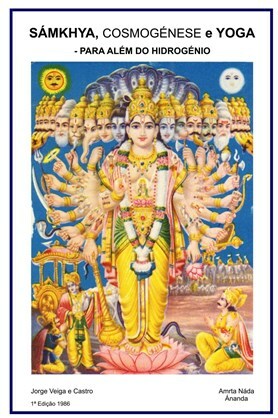 - Organized 6 World Yoga Meetings (Easter Island; Stonehenge; Egypt; Machu Picchu; Madeira Island / Porto Santo; Cape Verde)..
Fruit of the constant Light which is co substantiated in guidance, of Lord Shiva, his Master, and of Mahá Shakti, he launched in 2001 a World appeal for the creation of the 1st Global Day of Humanity, during which everyone should practice Yoga - which he named International Day of Yoga – IDY, June, 21st, on the Day of the Light of Súrya and Purusha, the longest day of the Year in the Northern Hemisphere (where Humanity´s largest source of Knowledge is found). Organized the 1~celebration of the International Day of Yoga in 2002, in Setúbal, Portugal, where 650 Yoga Teachers and practitioners gathered to practice Yoga. Since then organizes annually this Commemoration, on the odd years in Lisboa, and on the even years in other cities of the Country (such as, besides, Setúbal, Porto, Faro, Beja, Almada, Maia). Summit of Bengaluru, in collaboration with Shri Shri Ravi Shankar, President of the Art of Living Foundation, at the headquarters of this organization in Bengaluru, with the support and Presence of the main Lineages in India and their Grand Masters, which culminated with the well-known Proclamation of Bengaluru, declaring the International Day of Yoga, June, 21st, on the Solstice, and also the urgency of officializing it at the International Instances. From that Proclamation is highlighted the purpose that Yoga should be included in the Curricula of the Teaching and Training of children and youth of all the Countries in the World. Due to the Universalist nature of Yoga, has been developing a constant work with the main leaders of the main World Religions, leading them to support the International Day of Yoga and the global practice of Yoga, as a great good to Humankind, based upon the great principle that he often enunciates: “the true fundamentalism is the Respect for Life” which was given to us by the Grand Creating Spark. This Ecumenical action has been a remarkable success. This Ecumenical action has been a remarkable success. Has been making an extensive work with the political decision makers of Portugal, and India, and the whole World, highlighting the decision made, in June 2013, by the Parliament of the Portuguese Republic, to support the Creation of the International Day of Yoga, by unanimity of all the Political Parties. Has also been working at the UNESCO (Paris, France), and the United Nations, towards the officialization of the International Day of Yoga, which happened during the General Assembly, 2014, December, 11, with a Resolution proposed by 177 co-sponsors (of the 193 represented countries), and approved by consensus. Maintains optimal relations with the Diplomatic Body, namely with the Ambassadors of India in Portugal, being the last 4, supporters of the International Day of Yoga Cause. In the beginning of 2015 he also wrote the Photographic Chronicle "1st Global Day of Humanity / International Day of Yoga - IDY, June, 21st - The Golden Odyssey". He is currently writing a grand Encyclopaedia of Traditional Yoga. - In 2014, November, founded the European Yoga Confederation, which he presides, during the 1st European Yoga Congress, in Germany, Bad Meinberg. - In 2008 founded the Iberian Yoga Confederation, which he presides, having since 2007 organized annually, in April / May, the Iberian Yoga Meetings, which are now on their 7th Edition, with 6 being held in Spain and one in Portugal. The Iberian Yoga Confederation aggregates the main Yoga Institutions of Portugal and Spain, being the representative of Portugal, Portuguese Yoga Confederation (as well as its Federations, Regional and Sub Regional Associations); and from Spain the FEYS – Spanish Federation of Yoga Sat Sanga (and its associates), the Sanatana Dharma, and ISKCON – Hare Krshna of Spain. - Founded the Yoga Sámkhya Institute, of which he is Honorary President. All these Institutions are non-profitable Institutions. Besides the work made on the Iberian Peninsula, he has also traveled across the whole Europe spreading the Traditional Yoga from Bhárata, and the knowledge of the Grand Lineages of Yoga, with highlight to: France, England, Italy, Germany, Belgium, Poland, Russia, Greece, Cyprus, and Denmark. - In 1983 founded the Pashupati – Advanced Yoga Demonstration Group. - In 1998, the Amateur Didactical Theater Group – Máyá, spreading the grand Works from India and the World. - Shiva Rája – Sacred Traditional Hindu Dance Group, which is dedicated only to Bharat Natyam. - Medical Department and Ayurveda – constituted only by Medical Doctors, and other Health Graduates, who are also Yoga Teachers. - In 2009 he launched the Om Yess Magazine (Yoga is health and Samádhi), the only publication specialized in Traditional Yoga, in Portugal, intended to divulge this Practical Life Philosophy, deeply and systematically, aiming to address the earnings of the Yoga specialists, but also reaching to a more broad public, with little or no knowledge of Yoga. He Ministers superior Yoga Courses, considered to be the most extensive and complete in the world, where he forms Teachers of Yoga with World Excellence, in which he uses all 14 Yoga Technical Disciplines and the six complementary disciplines (in a total of 20), as well as the learning and in-depth study of the Shástra. - And prepares Yoga Masters – in more 4 years of Training ( in a total of 14 years 6+4+4), having these final 4 years 9.500h of Training (total of 22.000h). - Organized 5 Portuguese Yoga Congresses. - After these 5 Congresses he began to organize the National Yoga Meetings, taking place annually. - Co-Organized the 1st European Yoga Congress, 2014, November, in Germany, at the Yoga Vidyá facilities, presided by Master Sukadev Bretz; co-organized the 2nd European Yoga Congres, 2016, May, in the European Parliament and Radhadesh – Brussels / Belgium; organized the 3rd European Yoga Congress, 2018, April, at the UNESCO Headquarters, Paris / France. - Organizes the Iberian Yoga Meetings for Yoga Professors. - Organized 6 World Yoga Meetings (Easter Island; Stonehenge; Egypt; Machu Picchu; Madeira Island / Porto Santo; Cape Verde)..
Fruit of the constant Light which is co substantiated in guidance, of Lord Shiva, his Master, and of Mahá Shakti, he launched in 2001 a World appeal for the creation of the 1st Global Day of Humanity, during which everyone should practice Yoga - which he named International Day of Yoga – IDY, June, 21st, on the Day of the Light of Súrya and Purusha, the longest day of the Year in the Northern Hemisphere (where Humanity´s largest source of Knowledge is found). Organized the 1~celebration of the International Day of Yoga in 2002, in Setúbal, Portugal, where 650 Yoga Teachers and practitioners gathered to practice Yoga. Since then organizes annually this Commemoration, on the odd years in Lisboa, and on the even years in other cities of the Country (such as, besides, Setúbal, Porto, Faro, Beja, Almada, Maia). Summit of Bengaluru, in collaboration with Shri Shri Ravi Shankar, President of the Art of Living Foundation, at the headquarters of this organization in Bengaluru, with the support and Presence of the main Lineages in India and their Grand Masters, which culminated with the well-known Proclamation of Bengaluru, declaring the International Day of Yoga, June, 21st, on the Solstice, and also the urgency of officializing it at the International Instances. From that Proclamation is highlighted the purpose that Yoga should be included in the Curricula of the Teaching and Training of children and youth of all the Countries in the World. Due to the Universalist nature of Yoga, has been developing a constant work with the main leaders of the main World Religions, leading them to support the International Day of Yoga and the global practice of Yoga, as a great good to Humankind, based upon the great principle that he often enunciates: “the true fundamentalism is the Respect for Life” which was given to us by the Grand Creating Spark. This Ecumenical action has been a remarkable success. This Ecumenical action has been a remarkable success. Has been making an extensive work with the political decision makers of Portugal, and India, and the whole World, highlighting the decision made, in June 2013, by the Parliament of the Portuguese Republic, to support the Creation of the International Day of Yoga, by unanimity of all the Political Parties. Has also been working at the UNESCO (Paris, France), and the United Nations, towards the officialization of the International Day of Yoga, which happened during the General Assembly, 2014, December, 11, with a Resolution proposed by 177 co-sponsors (of the 193 represented countries), and approved by consensus. Maintains optimal relations with the Diplomatic Body, namely with the Ambassadors of India in Portugal, being the last 4, supporters of the International Day of Yoga Cause.